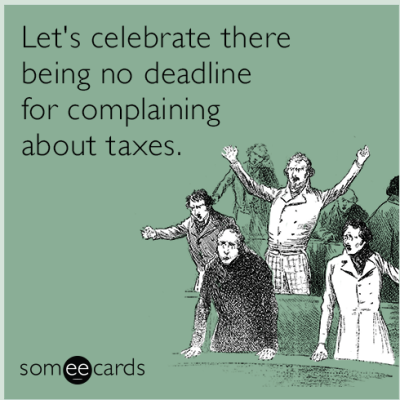 It’s tax time and as our collective team prepares their own personal taxes, we wanted to share some strong similarities between planning for tax time and launching a public relations or social media campaign. 1. Choose the right tax provider based on your budget and situation. Some people have straightforward taxes that can easily be prepared through one of the tax software tools available for purchase. Perhaps you don’t need an outside PR resource. You may be fine purchasing a media list online, distributing it through one of the available free or paid newswires and then having your internal marketing team make follow-up calls on their own. Or, you may need a team of two… or 20, to help you. Look at your brand’s individual needs and choose support accordingly. Don’t get hung-up on who a brand has worked with before so much as the results they’ve delivered for brands with a similar cache’ or budget close to yours. Look for the firms that have worked with brands that have less media appeal than yours or have done more with fewer resources. Ask for examples of unique placements and executions that also fit within your budget. You can see the entire interview on Malakye’s website at here. Your accountant may know you’ll be coming in that day, but without knowing all of your financial details from the last year, you’re leaving them in a very difficult situation. Things may get missed. The same thing happens all the time to PR firms when being approached by potential clients. Public relations firms frequently receive requests for meetings or for custom proposals within a week’s time, usually without adequate documentation as to what it is they’re really looking for, an accurate timeline and estimated budget. Providing details well in advance allows the PR firms you’re looking at will have ample time to put their best foot forward and you’ll have a chance to kick the tires on them as well. Last minute requests tend to receive work that is often rushed and often flawed. If you tell a PR firm today you need a proposal for a six-month plan next week, what does that say about your own team’s internal planning? Similarly, the sooner you start a project, the more time you have to adjust if things don’t go as expected. Remember, timing is a huge part of securing editorial coverage for your brand. 3. You hired experts for a reason. If you think you can do your taxes better than a professional tax preparer, then why did you hire them in the first place? Similarly, treat your public relations firm, consultant or that ‘marketing ninja’ you found on LinkedIn,as a part of your team and trust in their opinion. It’s their job to create programs and strategies that work for editorial coverage. Would you like to chat about this more? Feel free to drop us a line or take our PR Check-up to gauge the health of your own brand’s marketing efforts. Love this post? Help make the PR world a better place and please share it on LinkedIn! < PR Question: How Long Before You See Results?